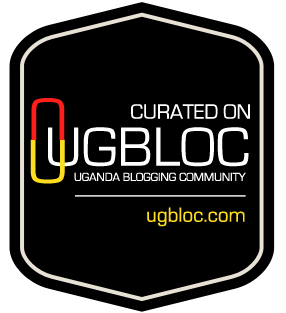 It has been a long minute since I participated in a #UgBlogWeek. I always had a good excuse, and even when I wanted to, I didn’t think I would be able to do all 7 days. So I figured that I was better off not starting. Nev LOVED #UgBlogWeek. If I remember correctly, he always participated, for all 7 days. At the beginning of the year, I had been thinking about doing another Valentines Series with him. But we never got the chance to. And so for the next 7 days, I am going to make the time to write, and hopefully write sensible things. I met Nev through writing, before ever meeting him in person, and throughout the years, he was a big part of my writing journey. He always believed in my writing, especially when I didn’t. And so I will write, in Memory of Nev. I had a love hate relationship with my time at university. I loved that I was staying in a hostel, and all the freedom that came with it, but hated that I had to study (read cram things to pass exams). It was a very confusing time. My last memory of being enthusiastic about school is during primary school. We had 2 days to report to school, Saturday or Sunday, and I remember always begging my parents to take me on Saturday because that is how much I wanted to be at school again. They always said no, but I never stopped asking. Somewhere along the way, school became a headache for me. For one, I am terrible at cramming which means that I either had to put in a lot of extra work to pass or I had to prepare myself for the failure that lay ahead. It was a terrible way to live. I look at my very young nephews and nieces, and hope for something different for them. I am the aunt that is always sharing other education options with their parents. To give them a fighting chance. Whether it is swimming, piano, art classes, you name it. Because I believe that if they begin learning for fun at this young age, they will not be destroyed by the ordinary Ugandan Education System later in life. When I read about children in primary school having to wake up at 4AM so that they can be at school by 6:30AM, my heart breaks. Not only because sleep is beautiful, but because they are being trained to think of school/education as a tedious ritual at such an early age and the disadvantages to that make a long list. This is the reality, but this doesn’t have to be their future. There are organizations that are working to ensure learning is fun. Sooo Many Stories has a number of programs aimed at teaching children how to read in a fun environment as well as opening their minds to think for themselves. 40 Days Over 40 Smiles Foundation’s Angaza Literacy Program which runs on Friday afternoons during the school term aims to improve the reading, writing and expression skills of children in vulnerable communities. 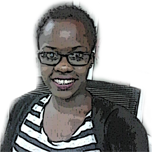 Fundi Bots has created programs for children both in primary and secondary schools. The Boundless Minds Leadership Program works with senior six vacists to improve their personal and career development using training, organization placement and community service. Breakdance Project Uganda works with vulnerable communities to empower them and create positive social change through tools like breakdance, beat boxing, art and public speaking. These are only the few that I know about, and even though I am sure that there are many more others, there is still so much we can do to change the ‘studying to pass exams’ attitude that learners are roped into when they are in school. Many of these initiatives are possible because of support from people like you and I. Whether it is volunteering with them, sharing their events in your circles or attending the events, it goes a long way in creating a whole new world of learning. In the spirit of sharing and attending events, 40 Days Over 40 Smiles Foundation is hosting #4040Night, a Quiz and Karaoke fundraising event, this Friday. All proceeds go towards the Angaza Literacy Program, and make it possible for them to continue doing the awesome work that they do. My hope for Uganda, and Africa as a whole, is that our education system, whether formal or informal, evolves to a place where we are learn not only in a manner that allows us to think (there is no wrong answer), but also enables us to create solutions for the challenges that we face in our communities. It would be nice if the return of investment for education equaled the cost of education, and our lives were better for it. I <3 your opening! #ForNev! I agree with you on the 'no wrong answer' concept – encouraging the pursuit of learning!